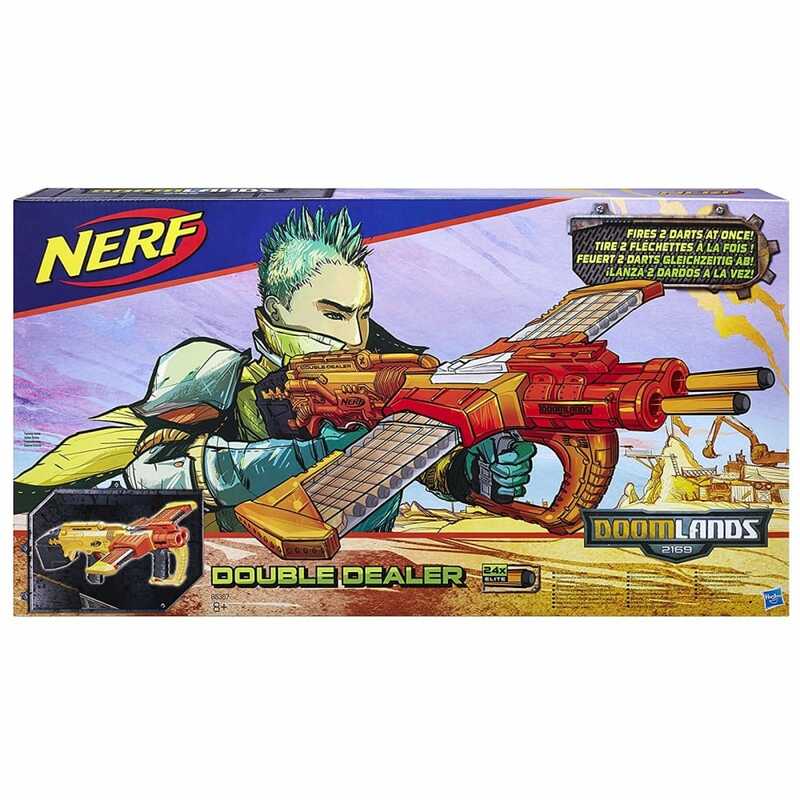 Deliver a double-shot of justice with the Double Dealer blaster. This Nerf Doomlands blaster fires 2 darts at once. The two 12-dart clips provide the blaster with a 24-dart capacity, ensuring plenty of firepower to travel through the wasteland. Prime the blaster, choose a target, and pull the trigger to launch 2 Elite darts at a time.